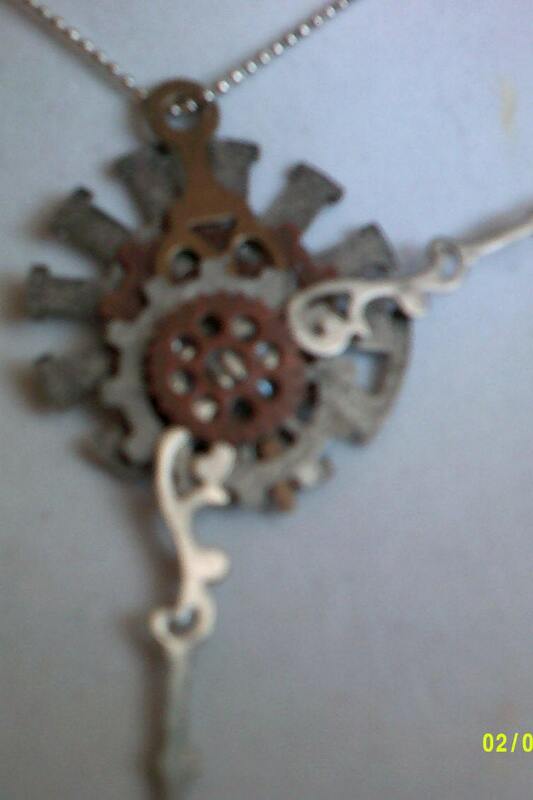 Steampunk necklace, "Gears of Time", up-cycled watch parts. 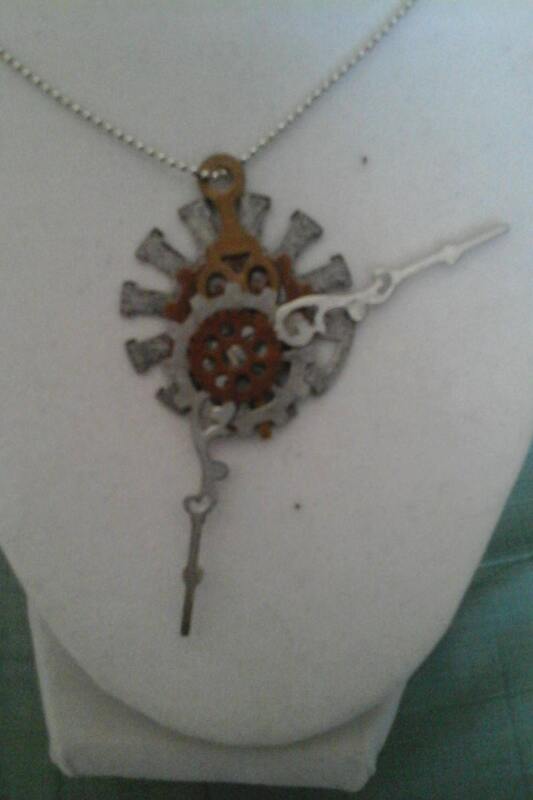 Steampunk Necklace, Metal gears and time piece arms on a silver toned chain 26" One -of- a- kind... Makes a unique gift for wife or husband. 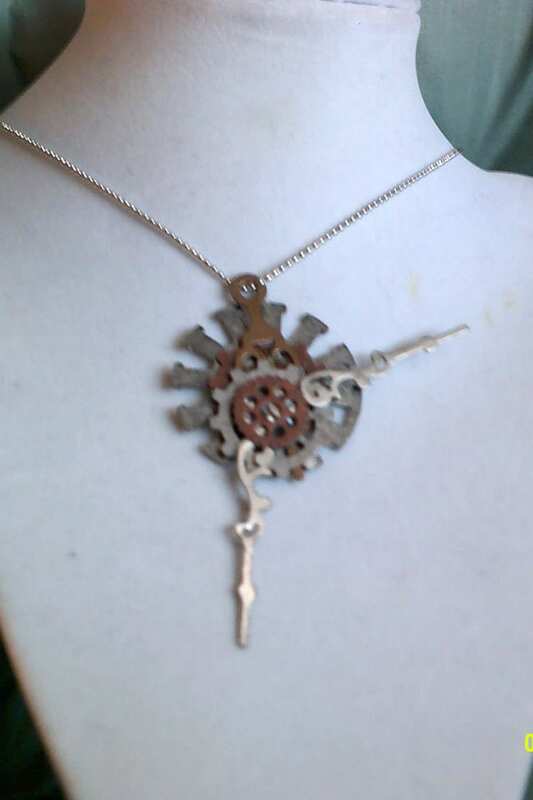 One-of-a-kind unisex Steampunk Gift, or a gift for your Steampunk enthusiast.